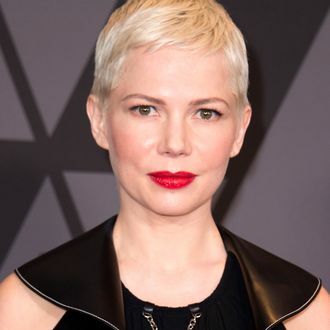 After a Tuesday report from USA Today claimed that Michelle Williams was paid less than one percent of what her male co-star Mark Wahlberg made for All the Money in the World reshoots, the film actors labor union is looking into the matter. Deadline reports that SAG-AFTRA (Screen Actors Guild‐American Federation of Television and Radio Artists) is examining the reports to determine if the Ridley Scott–directed biopic broke any of the Guild’s contract rules. The sudden and unexpected reshoots came at the end of November, after multiple men came forward with accusations of sexual misconduct committed by one of the movie’s original stars, Kevin Spacey. Scott raced through extensive reshoots over the course of nine days in order to replace Spacey with Christopher Plummer in the J. Paul Getty role just weeks before the film’s release date. Scott had previously told USA Today that everyone, save the crew and Plummer, had agreed to do the reshoots for “nothing,” including himself and Williams. The implication being that everyone wanted to see the awards contender be released by whatever means necessary. Yet, recent reporting from the New York Times* has claimed that Williams received an $80 per diem for each of the ten days of filming. That per diem is slightly higher than the union’s minimum wage. Wahlberg received the same per diem and an additional $1.5 million. According to the Times he was the last actor holding out on the reshoots — Williams and Timothy Hutton had agreed quickly to the per diem — and his agent was able to negotiate accordingly. An unidentified Deadline source claimed, “If Williams was paid at least scale for the reshoots, there’s nothing SAG-AFTRA can do about it, and anything Wahlberg may have negotiated above scale is OK with the union.” According to Deadline neither Williams nor Wahlberg had reshoot clauses built into their original contracts. If Williams and the director Scott decided to work for the same flat fee despite the added days — the set amount agreed upon before the reshoots took place — then their unions would probably not be able to claim a contract violation. Deadline, meanwhile, directed blame at WME, the talent agency that represents both Williams and Wahlberg. According to the USA Today story, Williams was never told about Wahlberg’s hefty fee when she agreed to do the extra work for small change. From the outside it appears that the agency did a better job (as in a 1,500 times better job) representing the movie’s lead actor than it did its lead actress. Though, as the Times points out, the two actors have different individual agents who may not have been aware of the other’s dealings.